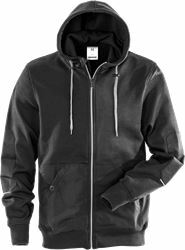 Sweatshirt jacket in doubleface material with reinforcement at front and sleeves for increased durability. Feminine model with zipped pockets and reflective details for increased visibility. 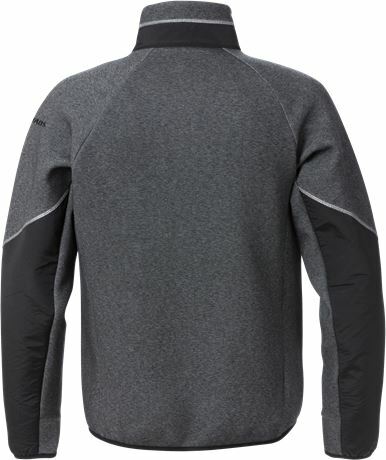 Full-length front zip / 1 chest pocket with zip / 2 front pockets with zip / Elasticated cuffs and bottom / Reflective details on collar and sleeves / Reinforced front and sleeves with polyamide ripstop / OEKO-TEX® certified.